We are currently seeking a Dementia Advisor to join our Client Services Department based in Hobart. As a qualified counsellor, your primary role is to support people with dementia, their families and carers by providing individual, group and family counselling, information, education, referral and other interventions. This position can be taken up in a part time or full time capacity. To be successful in the position, you will meet the key selection criteria and show an absolute commitment to the delivery of high quality dementia services and support within your region. Knowledge and understanding of the Aged Care Sector. 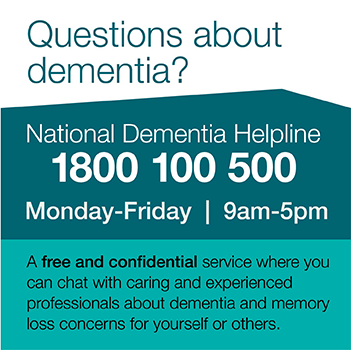 Experience in the field of dementia or aged care will be highly regarded. For any enquiries, please contact Penny Clifford on 03 6325 4688. Applications close - 3pm Friday December 7, 2018.